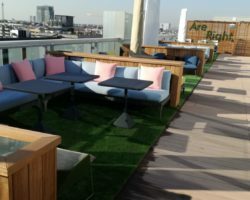 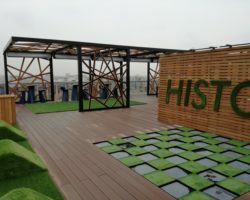 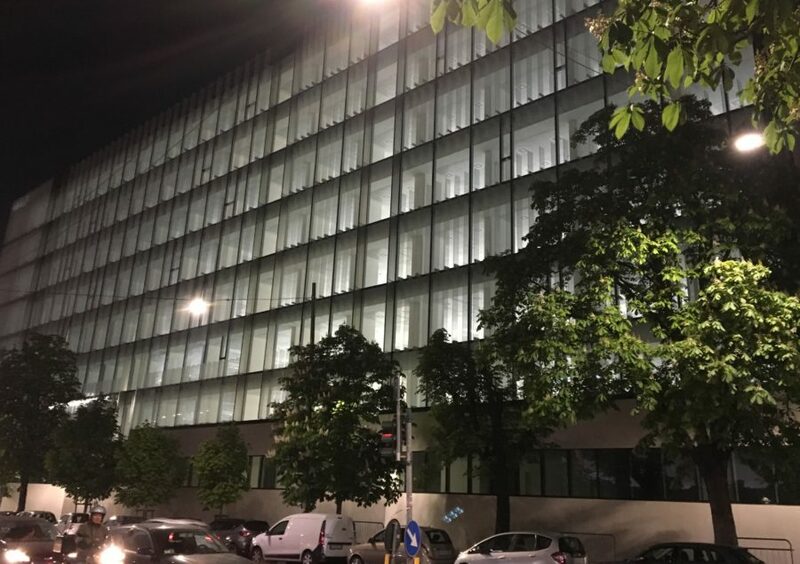 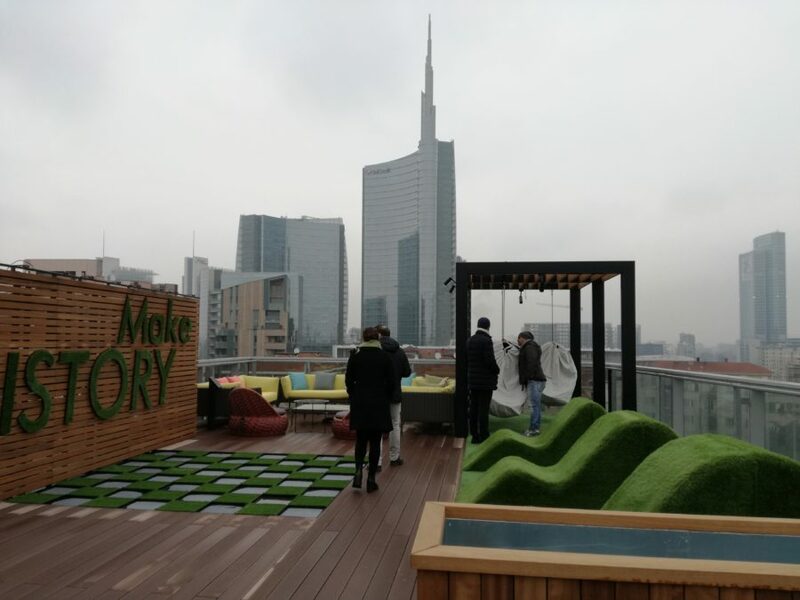 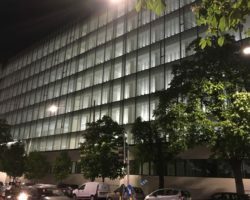 One of Milan’s most iconic office complexes of the 1970’s has been fully refitted with a new glazed façade and large panoramic terraces, to optimize natural lighting and indoor/outdoor synergies. 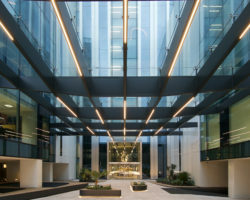 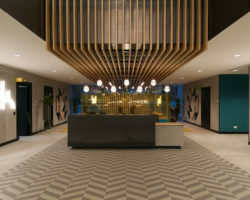 The strategically located 18,000 sqm complex consists of two buildings connected at all levels by a central block, which accommodates the lifts, and a piazza covered by an extensive canopy. 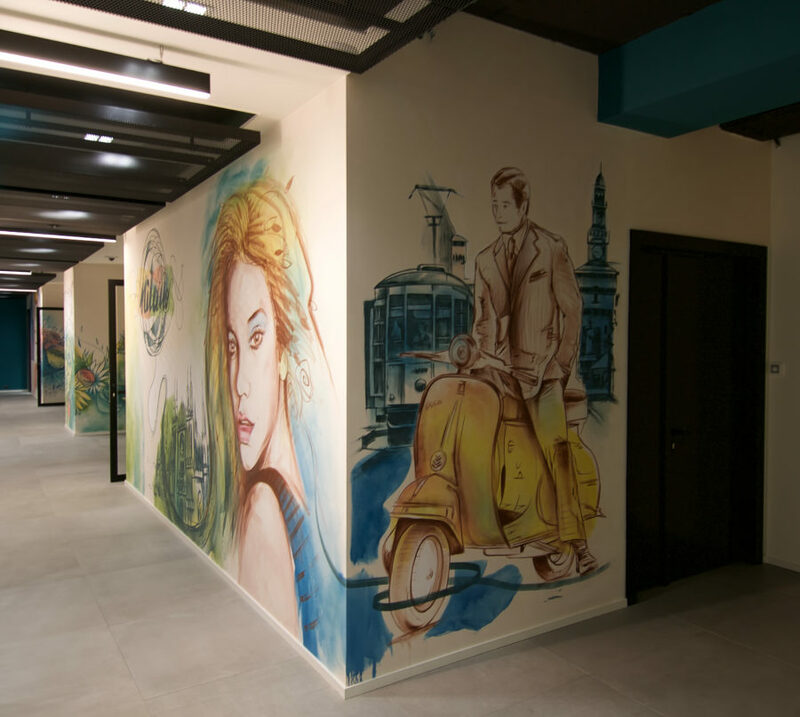 The Look & Feel aims to blend our client global image aesthetics with the style and sophistication associated with Milan. 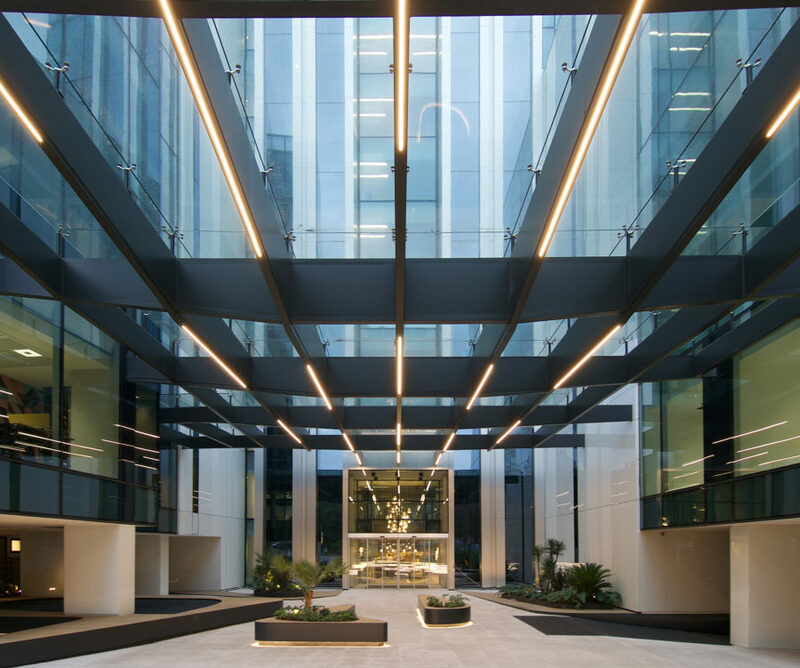 It plays on the coexistence of rough, textured and smooth finishes, reminding one of the contrast between the surrounding older buildings and the sleekness of contemporary architecture. 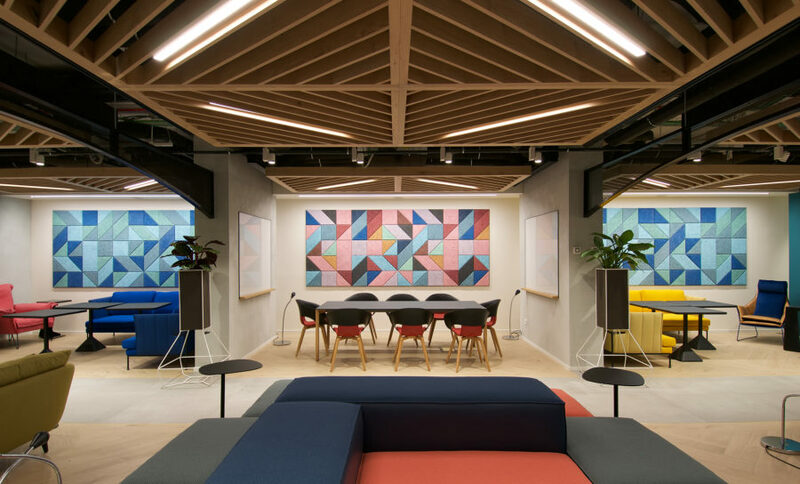 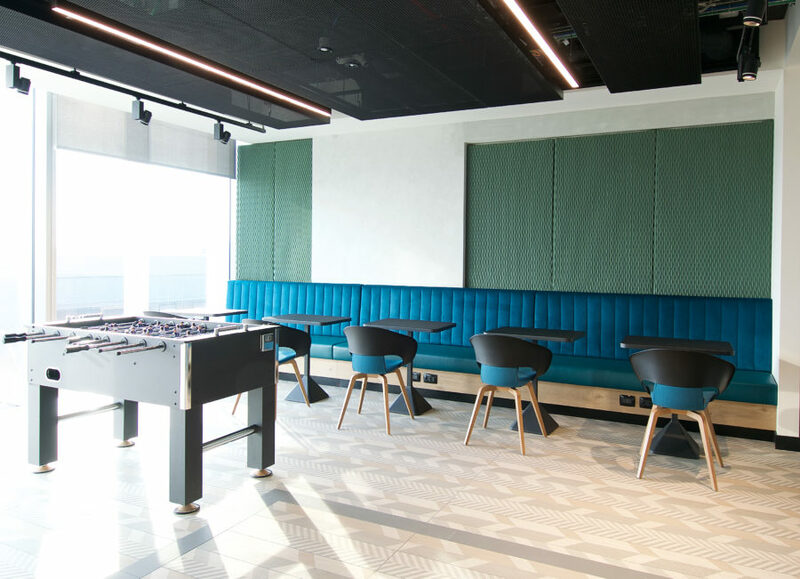 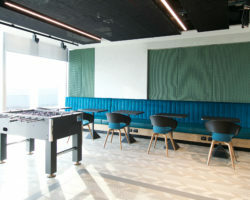 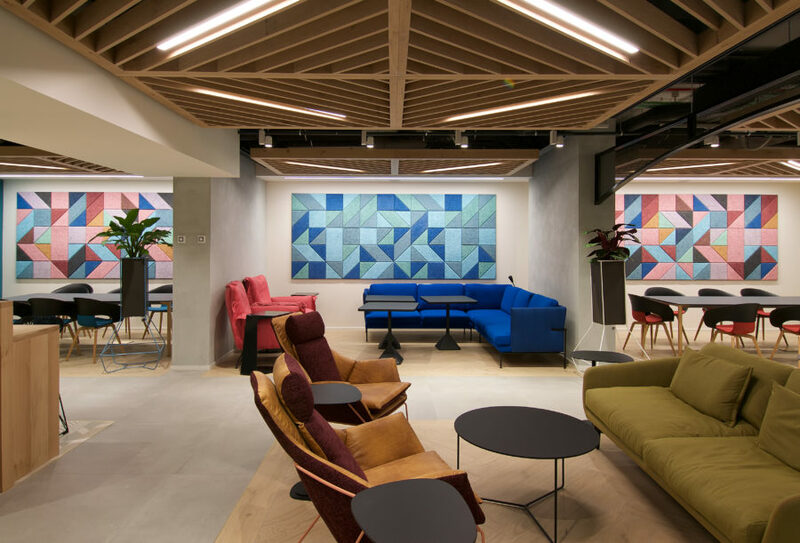 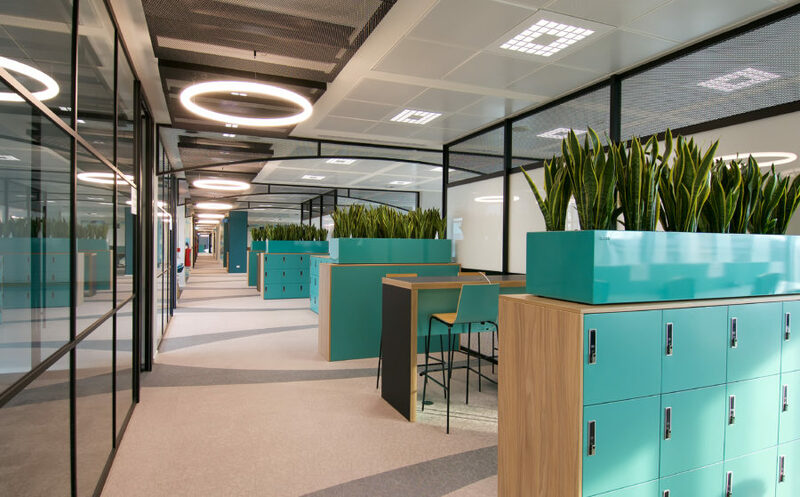 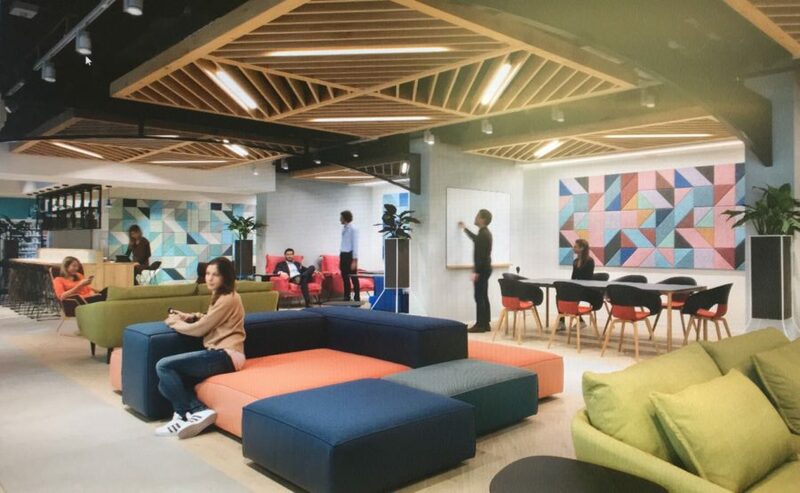 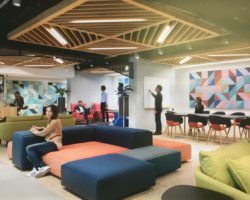 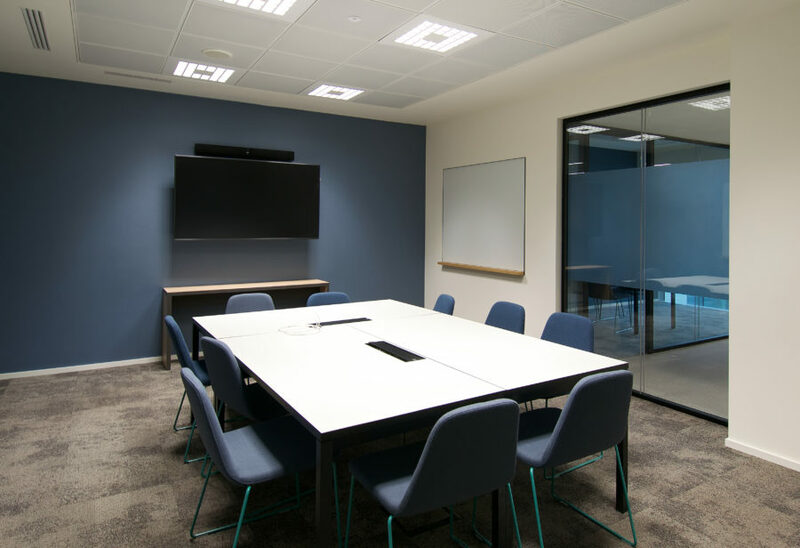 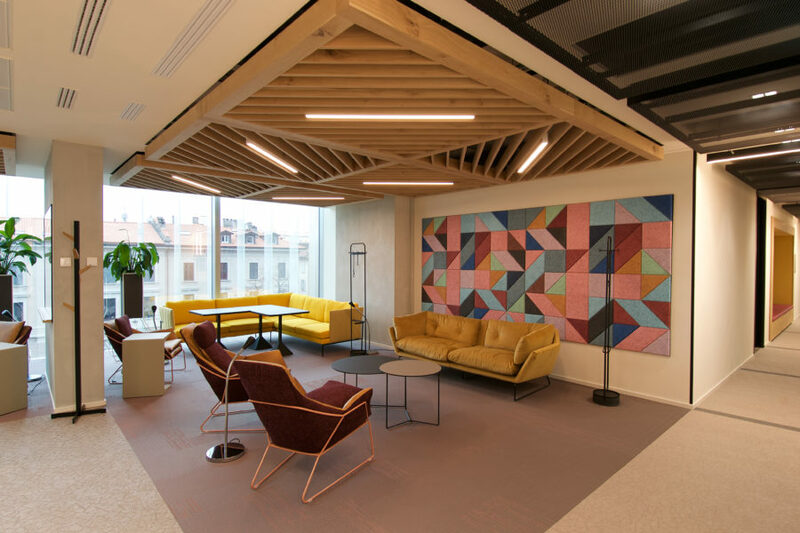 The Design Brief was to provide a variety of alternative and flexible working scenarios, explore advanced acoustical solutions and convey local flavor. 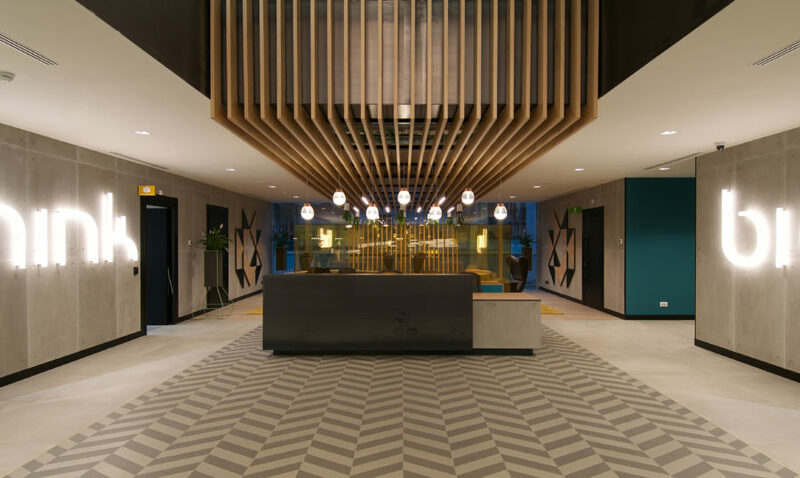 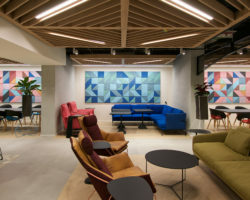 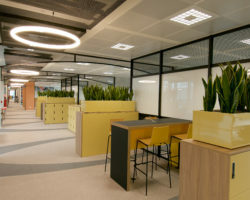 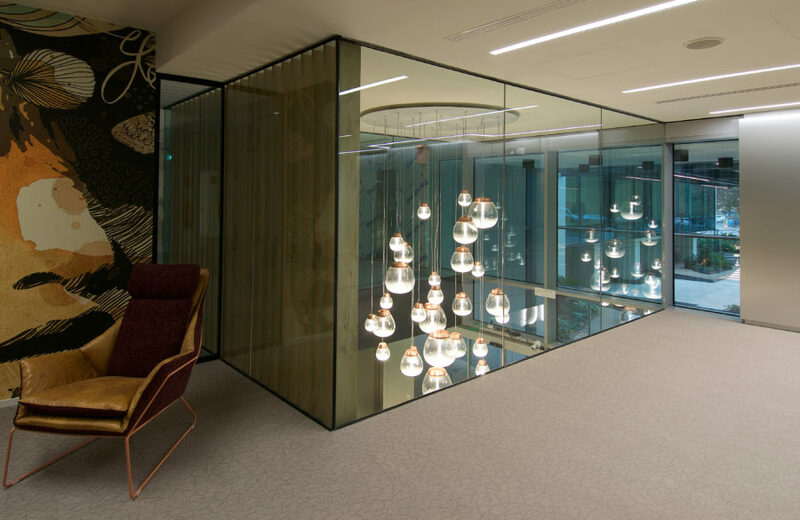 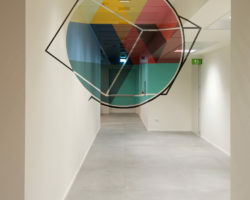 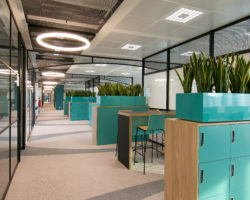 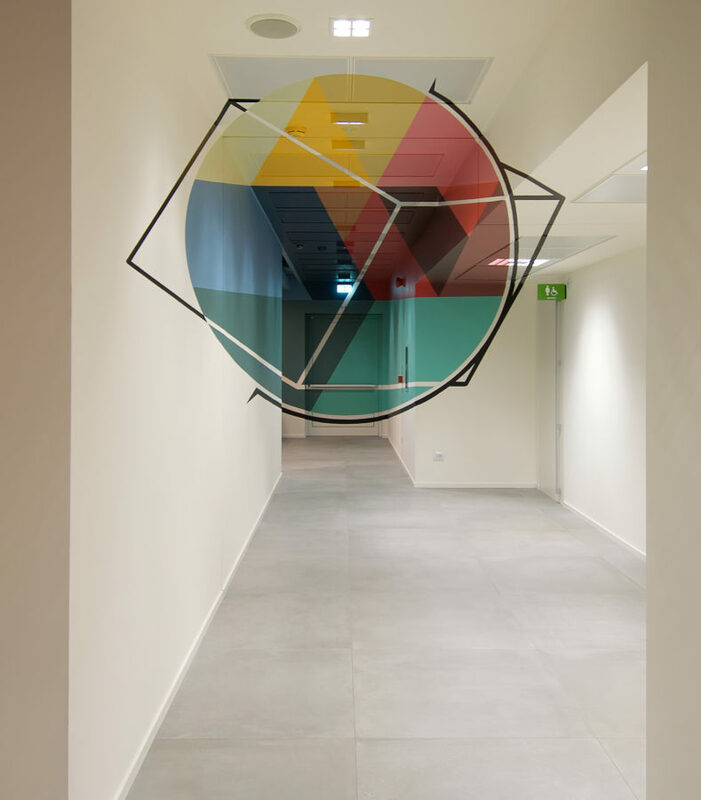 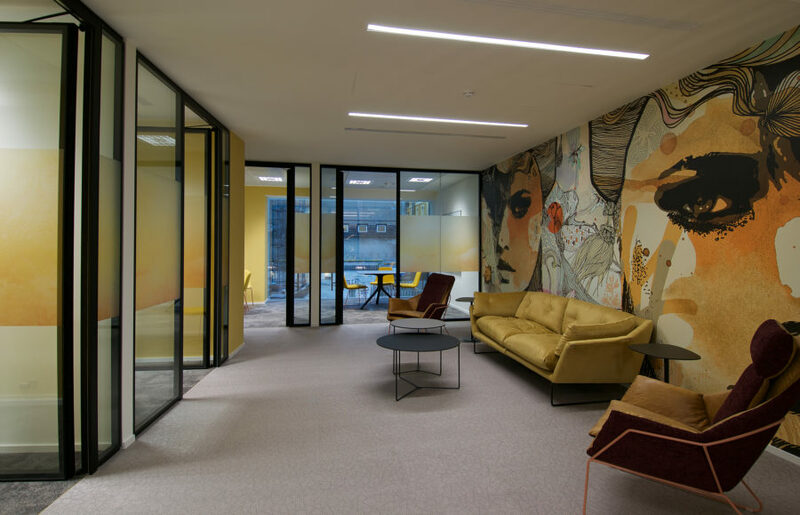 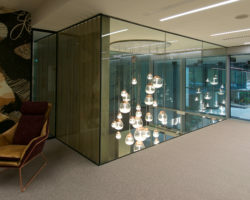 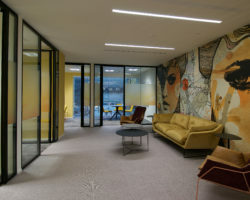 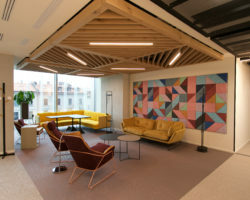 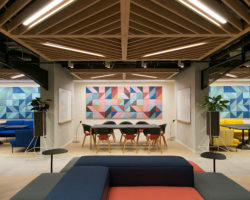 Site specific art works, reflecting the style of Milan and the client’s culture, are distributed throughout the office space, and include anamorphosis and street style art. 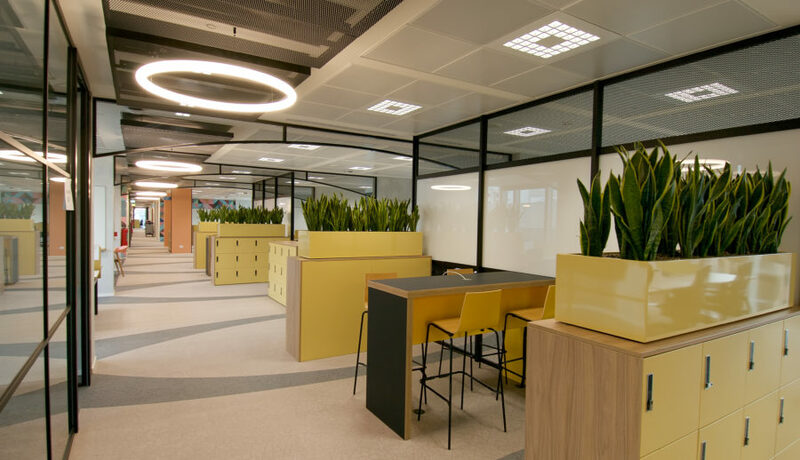 The cafeteria is a vast lounge comprising diverse physical and visual environments, allowing a great variety of work settings. 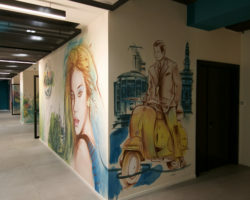 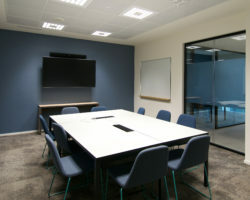 In addition, break areas are located on all floors for take-away food and relax. 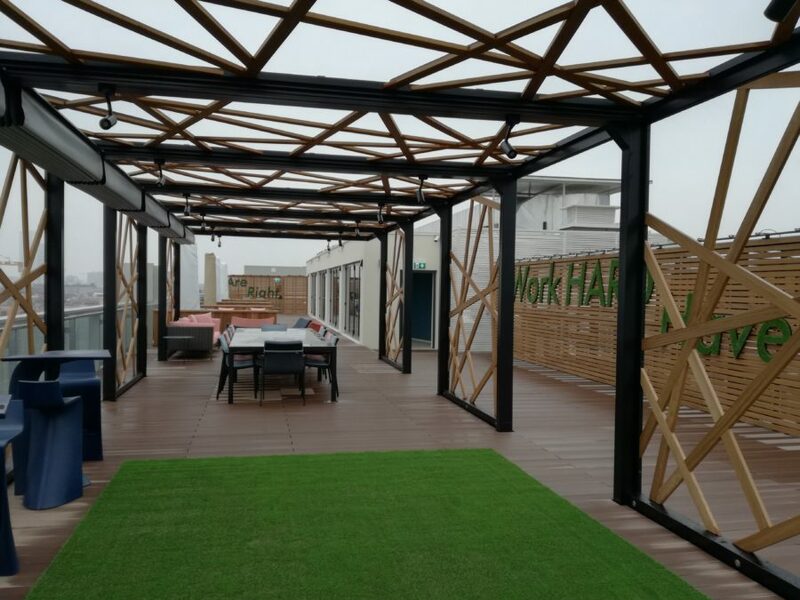 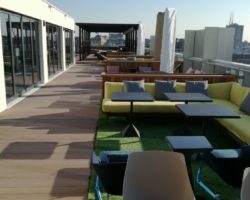 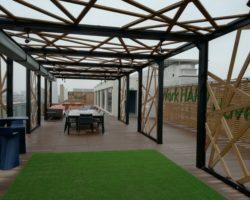 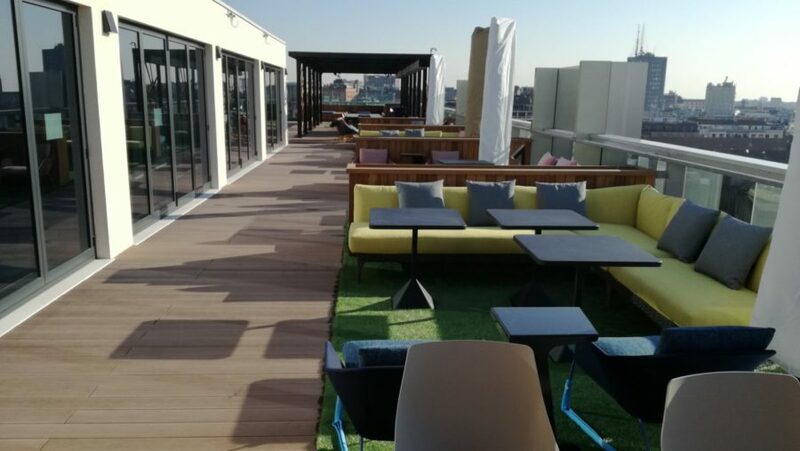 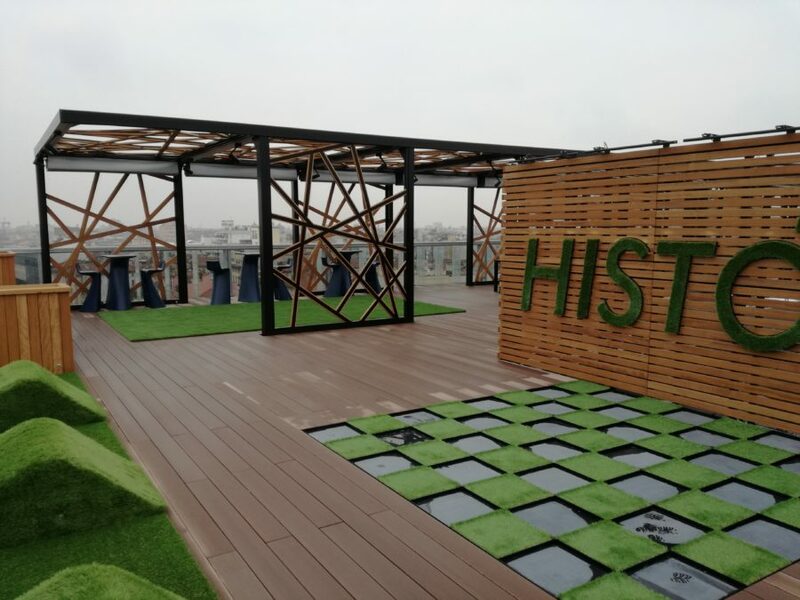 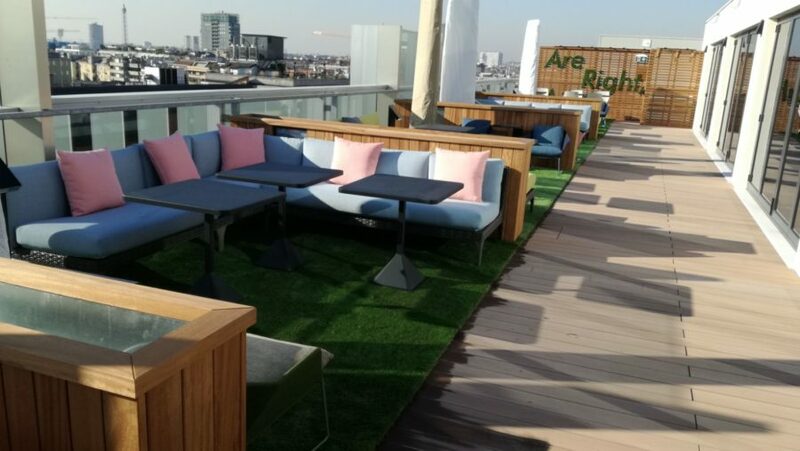 Wood decked terraces with lots of greenery and great views are for use by employees and events.